Most women face work related stress when compared to men. Exercise is one of the best ways in which women deal with stress. Talking is also one of the best ways to de-stress women. They walk in with a lot of grace, with their clicking heels, the bright lipstick, the neatly tied hair in the shape of a bun. They will then sit down to work with a cup of hot beverage and a lot of panache, but with each passing hour they will slowly begin to moan and groan and before long will eye ball every colleague. Women, they really have stress issues at work. If you have a 9 to 5 job which you find it increasingly difficult to deal with then you are probably stressed out. This is true in a general sense for both men and women; however, studies have shown that this is especially true for women. 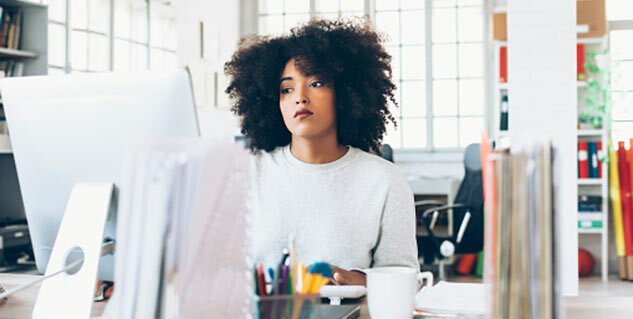 A study by the American Psychological Association states that about one-third of employees actually experience chronic stress that is related to work, and that this is most acute in women. If you are a woman and have been experiencing stress at work then you must take a cue from what other women usually do to get over such a stress. In a recent survey held by The Guardian where women were asked to respond the best in which they deal with their stress it was found that Exercising seemed to be a common therapy. Be it running, walking, taking toga classes or biking to work, any form of exercise seemed to be helping women to cope with their level of stress at work. Hitting the gym or doing physical activities soothes your nerves and makes you calm and composed. Above all you can get into good shape, so try it! Who has ever heard of a woman who doesn’t like to talk? Furthermore, there are many men waiting to rescue damsels in distress at the drop of a hat, so find a friend with whom you can talk to and share your problems with. Women have been found to be at ease after having a heart to heart talk. Grumbling bosses, uncooperative colleagues can all be thrown outside the window just with some talks. You do not really have to talk about work, you can simply sit and talk about everything else and calm yourself down. Indulging in what you love the best would help you to calm down, it could be writing, reading, watching movies, making movies, clicking pictures, cooking, gardening, anything. Indulging in what you like and love would help you to feel better and ease your worries. The idea is that you have to take out some time for yourself away from all that stress about work. The best time to do any of this is after you get back from work. When you change your mindset you do better, you have to enter your work station with a appositive attitude and realise that today will be a good day. There should not be any negativity in your approach to work and you will only feel better when your mind is free of all fears and speculations. Make quick notes in a pad and decorate your workstation with stick on notes that will allow you to keep a check at all things that contributes to your stress. Having a positive mindset will be of great help, you must start seeing things differently starting today. Take a break and go somewhere new so that you can let your hair down and have a good time. You have worked too hard for far too long and you deserve a break. Women have been found to be especially hard working and it is definitely not right for you to sit and sulk every day at work. When you know that you are not in the mood, then you must simply take off! You will realise on your return that you are much more open to your work and your spirits will be at an all time high. Look at your reflection in the mirror, do you see yourself smile? If not then de-stress yourself and put a smile back on your pretty face. A women must always have a great smile.